An entire company held together by a rubber band. 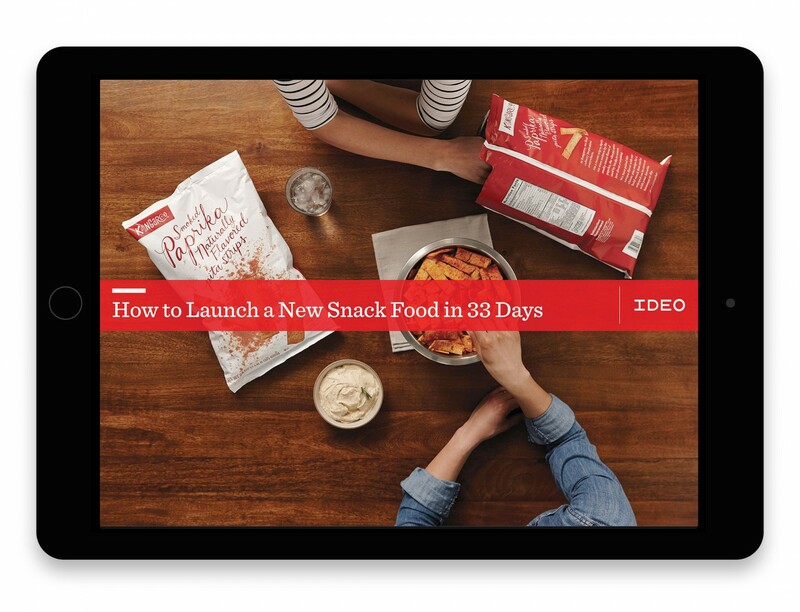 IDEO’s Snapshots series is an ongoing promotional collection of the firm’s recent projects given primarily to potential clients. We were asked to rethink this compact company story to better reflect the IDEO ethos and expand it into the digital realm as well. 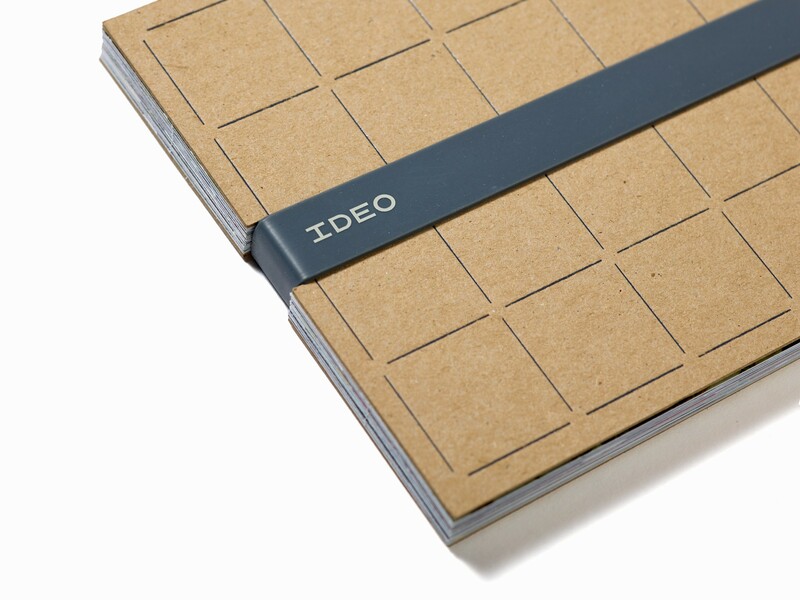 We first eliminated the excess box packaging in favor of tactile chipboard bookends and a rubber band that fit better with the overall IDEO brand. Then we created a design system for the individual project cards that both stratifies the information into digestible, interesting bites and allows their in-house staff to quickly generate new snapshots without our help. The digital versions are very simple tablet and mobile apps that can be easily shared and updated with new projects. 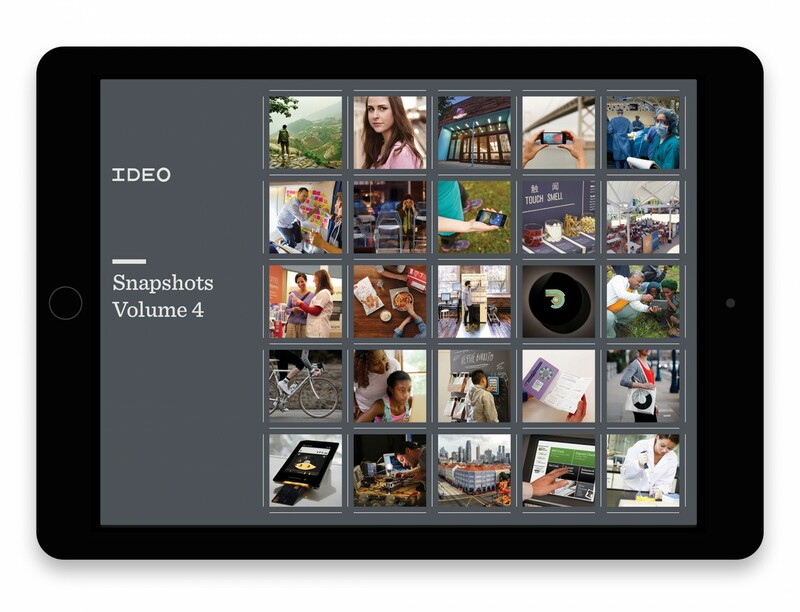 The snapshot format is also used at poster scale to feature IDEO work in their various offices around the world.